Hi guys. After three upload attempts to YouTube, I keep receiving "Community Guidelines" Strikes. Nothing like that has ever happened before so I am trying to be patient while I wait for the results of my appeal. 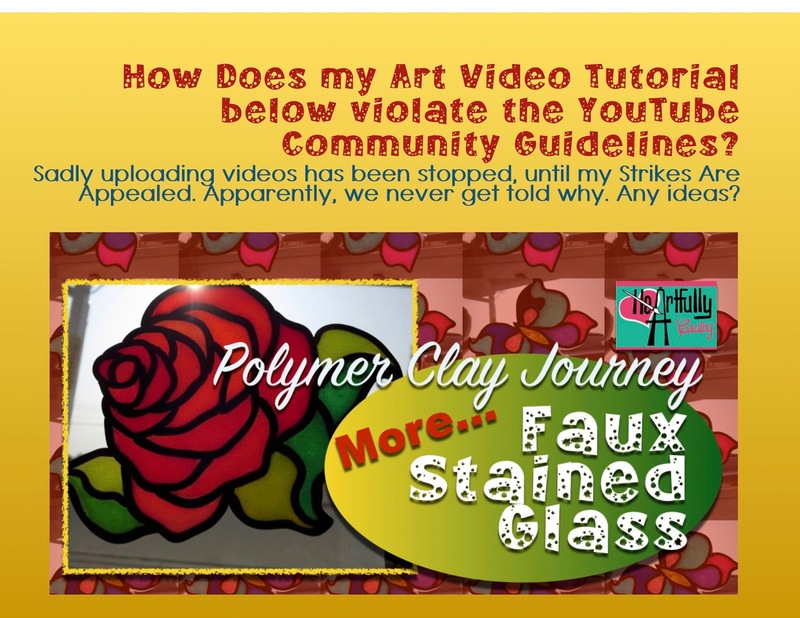 In no way did anything in my faux stained glass tutorial violate YT's guidelines. Based on what I have learned, I re-watched the video and though maybe the computer algorithm thingy mis-heard a word on my video. Some words apparently cause red flags when YouTubers post videos with those words. I don't understand how they can twist and flag videos like mine, a clearly "safe," one - disrupting all productivity, based on non-human judgments. Oh well, nothing I can do now but wait for them to deal with my appeals. I will still be posting articles, but for now, they just won't come with the videos that I love making. Click this link below to see more about this topic.